Growing your own food is one of the most satisfying forms of gardening. In today’s economy, many are now turning to their backyard vegetable plots to help lessen high grocery bills. Vegetable gardening provides the opportunity to select the varieties you like. It provides your family with fresh produce that is free from harmful pesticides. 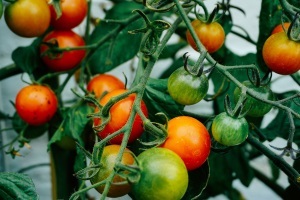 This class will cover the basics of planning your vegetable garden, preparing the soil, selecting plant and seed varieties (including hybrids and heirlooms), starting plants from seed, planting, tending your plants, troubleshooting problems, harvesting, extending the season, getting the most out of small plots, and putting the garden to bed for the winter. Barbara Kline owned and operated a five acre organic farm for 12 years. She was one of the founders of Grow Pittsburgh, past regional representative of PA WAgN, Women in Agriculture Network, Graduated Phipps Master Gardener program in 2002 and has been a Penn State Master Gardener since 2009.